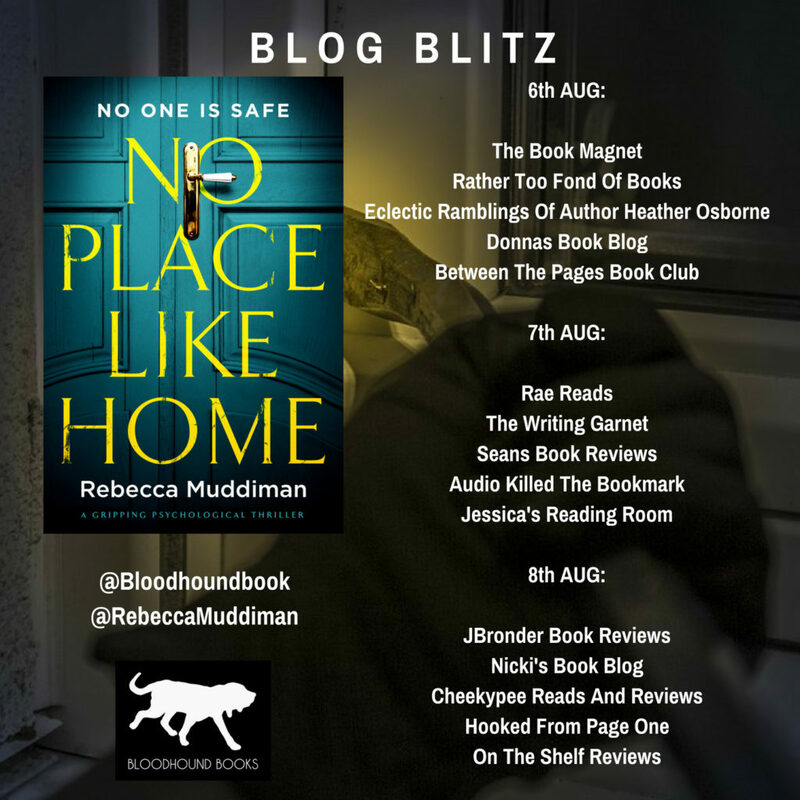 Today I am taking part in the Blog Blitz for No Place Like Home by Rebecca Muddiman. Today she will be sharing with us about her writing process. 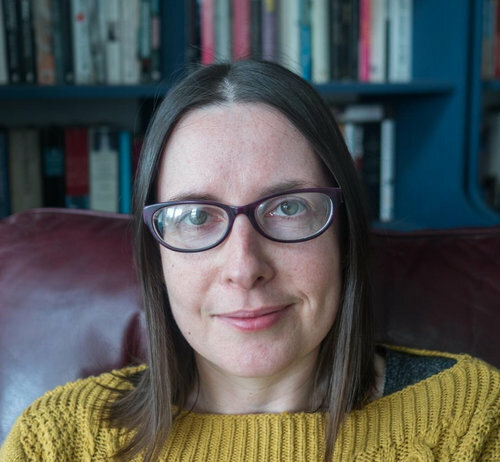 Bloodhound Books is the publisher. With my four previous books (and the unpublished books before that), I always planned in advance. I don’t like to plan in too much detail, preferring room to breathe and change things as necessary. But I still like to have some plan. Something to guide me along. I usually start with the idea, developing it until I know who the characters are and the basic outline of the plot. I like to know the beginning and end and the main points in between. Once I have this, I write each plot point onto a card and spread them across the floor. This helps me see structure, pacing, where there are gaps (how to I get from here to there), and I can adjust things accordingly. When I’m happy, I write a chapter by chapter outline. Some chapters basically get one line – Gardner goes to visit so and so – but others get a bit more detail if I know specific things have to be said or done in that chapter, or maybe I’ve already come up with bits of dialogue. Either way, once I’m finished I should have a guide for when I sit down every morning. Sometimes I end up going off book and add things I hadn’t planned for, or sometimes realise that something in the outline is actually unnecessary and skip it. I could never be one of those writers who plans every last detail in advance and sticks to it. Things come out while I’m writing that I hadn’t thought of while planning. I see links and opportunities. The characters develop as I write them and that offers new directions to go in, twists I hadn’t seen coming. So I like to have some directions to follow but also the freedom to ignore them if I want to. So that’s how I usually write. But with No Place Like Home, all that went out the window. I don’t know if it was because I was writing something totally different. I’d spent the last few years working on four novels in a series and wanted to try something new. So I decided I was going to try and write in a new way too. I had a vague idea for the plot and a main character, but I didn’t really know who this person was or why they were doing what they were doing. I knew how it would begin but not how it would end. I was just going to sit down and write. And I got about ten thousand words before I had a meltdown. The words were coming, but I had no idea where they were going. There were some parts I liked, but not knowing where I was heading was scary. What if I got to the end and it just fizzled out? Or what if it was all just nonsense? What if there was no cohesion whatsoever? So I stopped. I didn’t write at all for a couple of weeks. I felt paralyzed by it. It was suggested to me that I take a step back and do what I’d normally do and come up with a plan. I’d tried something new and it wasn’t working. People write in different ways and clearly this way wasn’t working for me. But I’m stubborn. I wanted to see it through. I decided even if it was a mess at the end, at least there’d be something to work with. It’s the same with any first draft. So I went back to it and kept on writing. I’d sit down every day and start, not knowing what I was going to say. And eventually I started to enjoy it. I was surprising myself. Shocking myself sometimes. Some days I’d come away from the desk feeling a bit sick, a bit uncomfortable with what was coming out of my mind. There were things in the first draft which subsequently came out because it was a bit … too far. Other days this feeling pleased me. It felt like the writing was more brutal, but also more honest. Without giving anything away, I think I was about two thirds of the way through when I realised what would happen in the last few chapters. I knew it was inevitable, I just didn’t know for which characters. But I think I always knew the ending. Maybe not how it would happen, just that it had to somehow. Of that, if nothing else, I was certain. Would I use the same method again? Maybe. 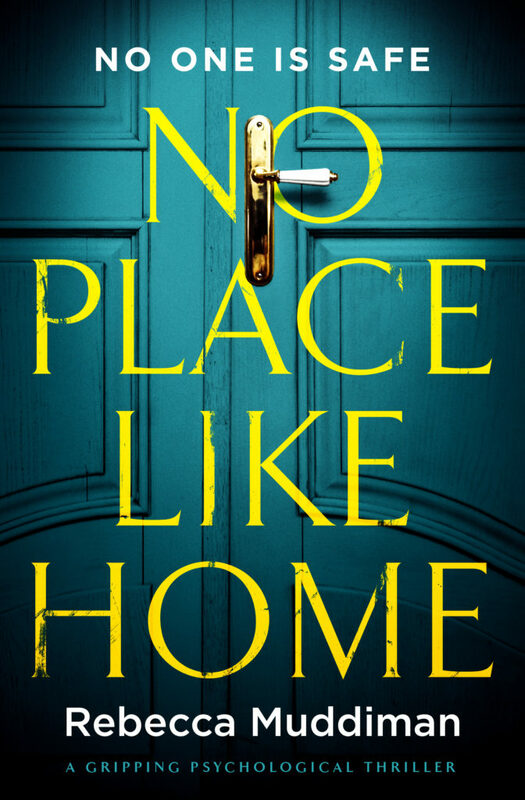 The book I started after No Place Like Home was a historical novel, based on a true story, so had to be planned carefully. But writing without a plan can be the best way to surprise yourself. And if you’re writing a crime novel, surprising yourself is probably the best way to surprise your readers too.